The happy mother of four has been dealing with a heavy workload lately: in addition to her modeling gigs, she’s still hosting Project Runway and has designed an activewear collection for New Balance, set to debut this month on Amazon. The tenth episode of Project Runway, season eight, airs TONIGHT @ 9PM ET/PT. Heidi Klum and Seal also are about to shoot a pilot show for U.S. television that gives different couples their dream weddings. This entry was posted in Celebs, Heidi Klum, Models, Music, Seal on September 30, 2010 by admin. American stand-up comedian Greg Giraldo, familiar to audiences at Montreal’s Just for Laughs comedy festival and host of the TV series Last Comic Standing, has died at age 44 of an apparent overdose. He died Wednesday in a New Jersery hospital days after being hospitalized for an overdose of prescription medication. Reports are spreading across social media platforms, with Twitter users weighing in. “Very sad to hear the news about Greg Giraldo,” MTV Movie Awards host Aziz Ansari tweeted. “One of the most respected comics I can think of. The world has lost a hysterical man. RIP.” Host and comedian Jimmy Kimmel tweeted: “Greg Giraldo was a great and funny man”. Also, Giraldo’s own site was directing people to leave condolences on his Facebook page. Before becoming a comedian, he worked as a lawyer, having graduated from Harvard Law School. Greg Giraldo spent less than a year as an associate for Skadden, Arps, Slate, Meagher & Flom before deciding to change his occupation and his life completely. Despite his prior career, Giraldo rejected that persona and very rarely discussed his days as a lawyer. This entry was posted in Actors, Celebs, Comedians, Reality, Reality television on September 29, 2010 by admin. 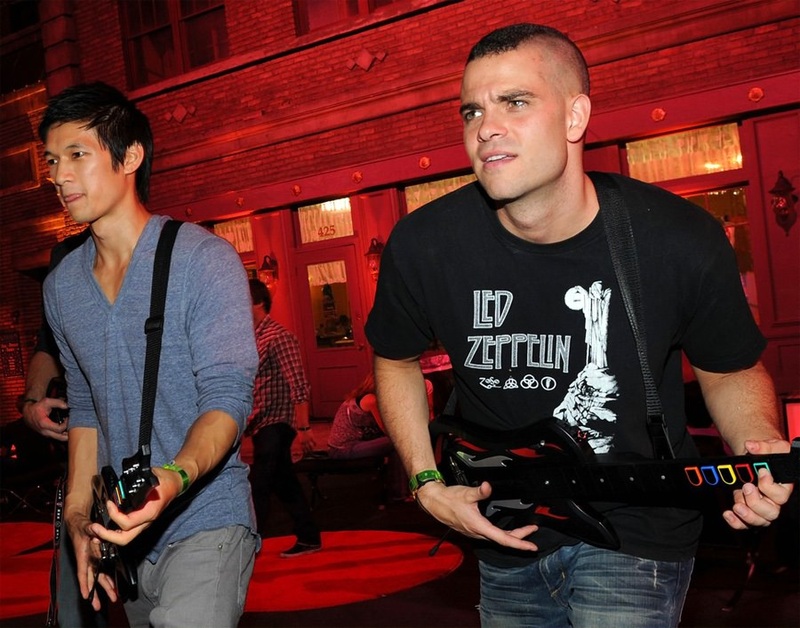 Glee actors and musicians Mark Salling, Harry Shum, and Cory Monteith play around at the “Guitar Hero: Warriors Of Rock” video game launch at Hollywood’s Paramount Studios on Monday, September 27. 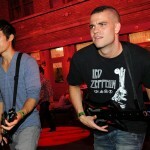 The back-lot venue was transformed into a New York block party and a replica of the historic CBGB’s venue for a unique blend of music, art, food and gameplay. The night was capped off with a “one night only” performance by the rock band Soundgarden. The Rocky Horror Show-themed episode will air on October 26. The album Glee: The Music, The Rocky Horror Glee Show will hit stores a week before and will include classics such as “Time Warp,” “Damn it, Janet” and “Touch A Touch A Touch A Touch Me.” Pre-order from iTunes! 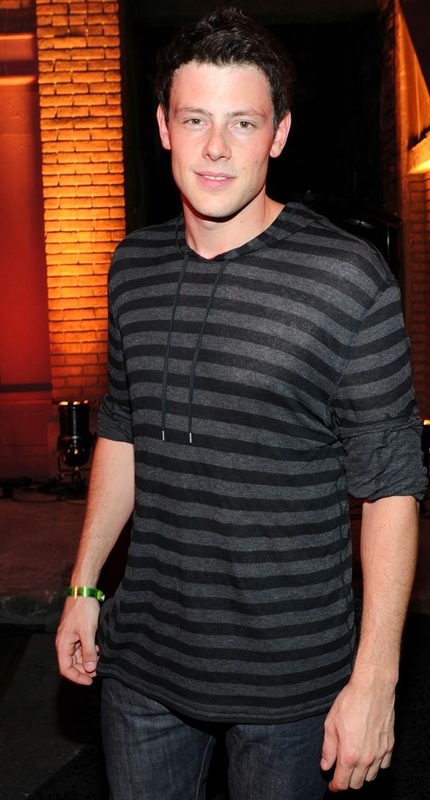 This entry was posted in Actors, Celebs, Music, TV Series on September 28, 2010 by admin. Rihanna new music video: What’s My Name? R&B star Rihanna bangs a pair of drum sticks against a lamp post as she films her new music video: “What’s My Name?”. It was shoot in the Lower East Side of New York City on Sunday, September 26. Directed by Philip Andelman, this project has yet to set a release date. The song will likely be Ri’s second single off of her upcoming Loud album. This entry was posted in Celebs, Fashion, Music, Rihanna on September 27, 2010 by admin. Supermodels Adriana Lima and Lily Aldridge promote Bombshell fragrance with fellow Victoria’s Secret models Erin Heatherton and Candice Swanepoel on Friday, September 24 at the SoHo store in New York City. The four beauties also made an appearance on Fox and Friends to promote the new fragrance. The beautiful models of Victoria’s Secret were out for the ‘Bombshell’ Fragrance Collection Launch on Tuesday afternoon, September 21. Happy customers were able to sign up for bombshell makeovers with the Victoria Secret special make up artists team and also get signed T-shirts, keepsake photos and autographs. The work efforts come after Miss Lima took a break while welcoming an adorable daughter named Valentina Lima Jarić. This entry was posted in Adriana Lima, Candice Swanepoel, Celebs, Erin Heatherton, Fashion, Lily Aldridge, Models on September 26, 2010 by admin. American singer-songwriter Lenny Kravitz showed off his legs in female leather pants tucked into some women’s high-heel boots. 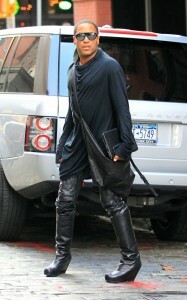 The 46-year-old Californian artist was photographed crossing the street in New York yesterday, in the Soho area. He also used an across-the-body man bag and tiny hoop earrings. Of course the Internet is laughing at this ensemble and making every “American Woman” joke possible. He put together a look lots of women would totally want to wear. We might just suggest he swap the pants for thick tights, and the knee-high boots for over-the-knee boots, which are much better suited to working on a street corner. What do you think? Is this the next fashion trend for men or has he gone too far with his lady high heel boots? This entry was posted in Celebs, Fashion, Lenny Kravitz, Music on September 25, 2010 by admin. Australian Actor Hugh Jackman and his wife Deborra-Lee Furness pick up their daughter Ava, 5, from school in NYC’s West Village on Thursday, September 23. The 41-year-old Wolverine actor and his wife walked unnoticed by passersby through New York’s West Village district. Hugh recently wrote a letter to the Speaker of the United States House of Representatives, Nancy Pelosi, asking her to make sure the Improving Nutrition for America’s Children Act is voted on and passed this month. As a father of two, we’re sure the health of his kids is always on his mind. 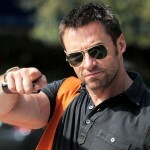 Also, it has been reported that Hugh will use a vegan diet for his upcoming “Wolverine” sequel. He hired vegan nutritionist Brenden Brazier to help him bulk up for the role. 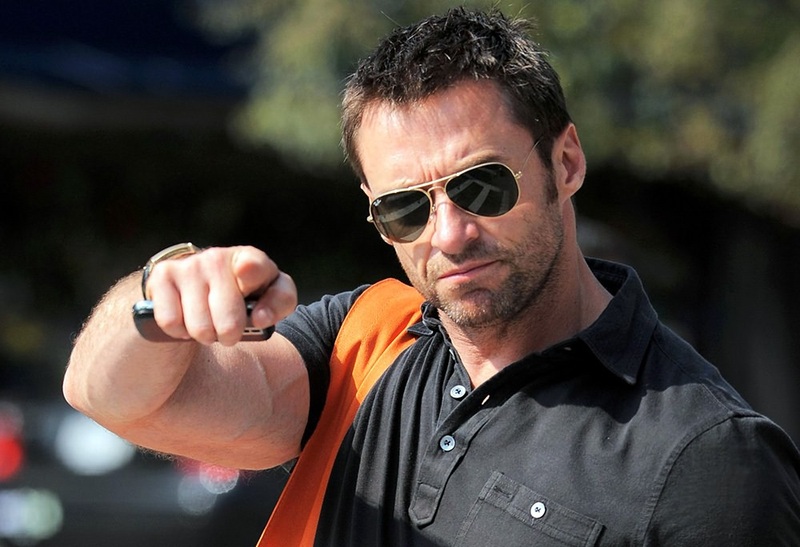 Hugh credited the diet for giving him his buff looking physique while filming the first “Wolverine” in 2009, when he added on 20 pounds of muscle. 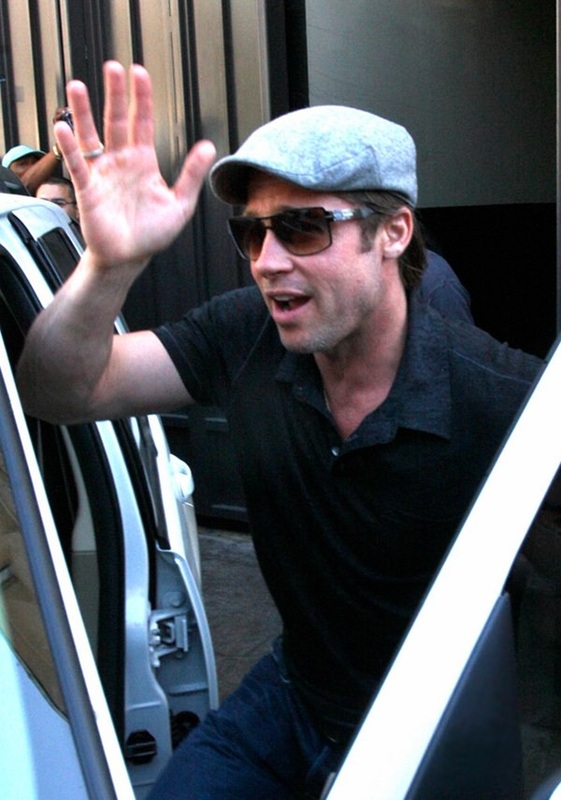 This entry was posted in Actors, Celebs, Hugh Jackman, Movies on September 24, 2010 by admin. Actress Halle Berry is busy shooting her new movie, Dark Tide, with her on-and-off-screen lover Olivier Martinez. However, new details emerged about Halle’s other movie called “Cloud Atlas”. It has been reported that the Wachowski brothers will produce and possibly direct the film. It’s inspired by the novel “Cloud Atlas: A Novel”, written by British author David Mitchell. Tom Tykwer (the Director of Run Lola Run) is writing the screenplay. Earlier this year Tom Hanks, Natalie Portman and Halle Berry all signed up to star in Cloud Atlas. James McAvoy still has an offer on the table but Ian McKellen, who was also offered a role, may have to pass as he’ll be needed in Middle Earth. In the cpitures above, you can see Halle Berry at the Batia & Aleeza Beauty & Hair Salon on Thursday, September 23, in Beverly Hills, California. This entry was posted in Actors, Celebs, Halle Berry, Movies on September 23, 2010 by admin. Actress and singer Jennifer Lopez and Aerosmith leader Steven Tyler are joining the tenth season of American Idol. 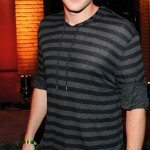 The reality television show is scheduled to premiere on January 12, 2011 on Fox. The producers just announced the signing of Lopez, (41) and Tyler (61) in Los Angeles. This announcement ended months of speculation over who would join the judging panel. Simon Cowell, Kara DioGuardi and Ellen DeGeneres will not be returning as judges this season. Randy Jackson remains the only original judge since the program debuted on Fox television in 2001. Ryan Seacrest will remain as host. Also, the producers announced other big changes to get away from what they called the “karaoke” feel of the show when it returns to TV in January 2011 after a four year ratings decline. Big record producers like “Timbaland” will work with the contestants, but celebrity guest mentors will not be used and contestants must dance more. The moves are a bid to find genuine talented stars like first champion Kelly Clarkson who went on to a Grammy-winning career. This entry was posted in Actors, Celebs, Jennifer Lopez, Music, Reality, Reality television, Steven Tyler on September 22, 2010 by admin.